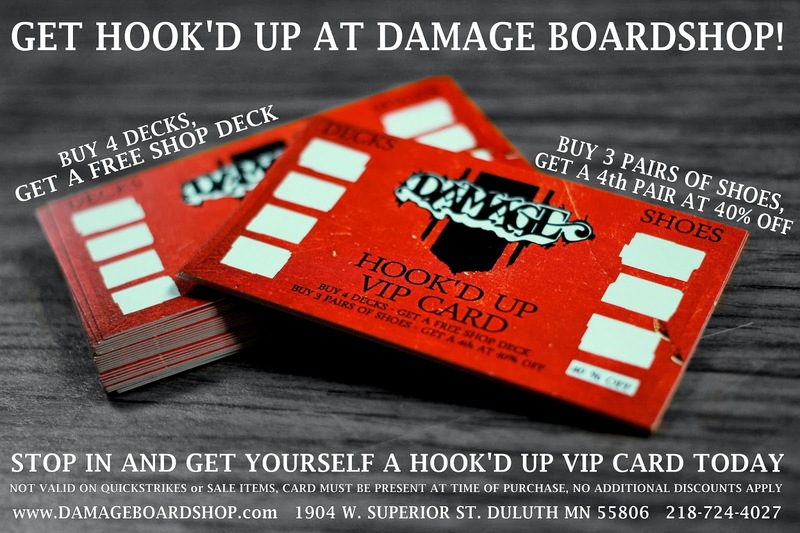 Damage Boardshop: Back Lot Bash! To celebrate our 11 Year Anniversary, we welcome you to join us tomorrow, May 14th for our Back Lot Bash! 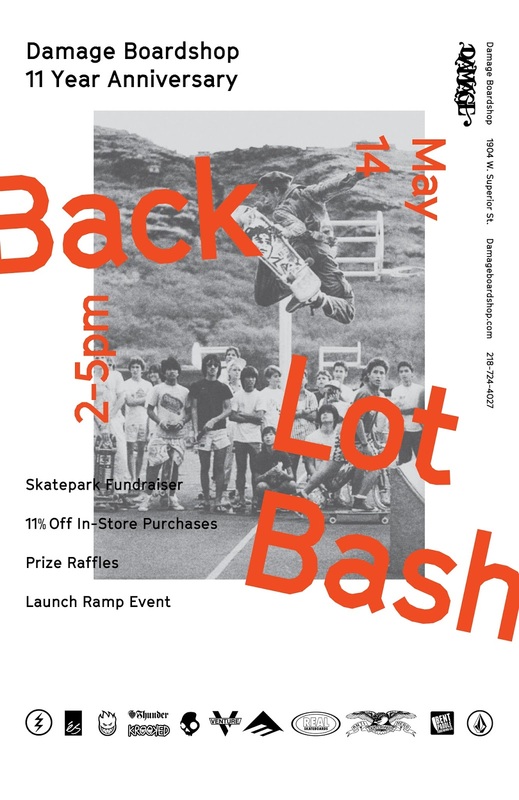 Tons of prizes will be raffled off to help raise money for the GND skate plaza! Raffle tickets will be $2 each. 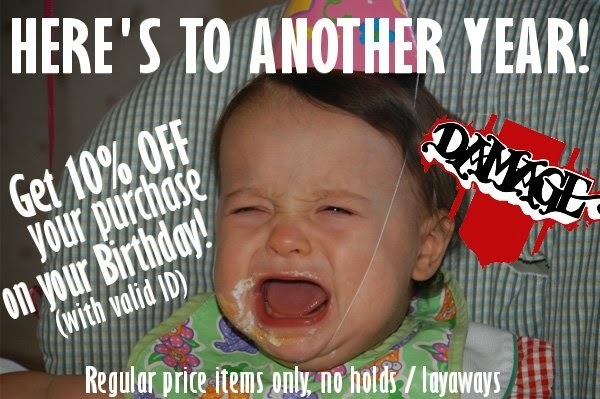 We will be having an 11% discount on all purchases in store! Festiversary to celebrate their three-year Anniversary! Stop over and pick up pint and enjoy some music.